You can build almost any kind of site based on WordPress. We have already covered a bunch of plugins that can turn your site into an online directory. Brilliant Directory for WordPress can also help. It is a commercial theme with support for unlimited custom fields, categories, and packages. Online directories have been around for quite a long time. They may not be as popular as they used to be, but people still use them to list their businesses/events or find what they are looking for. 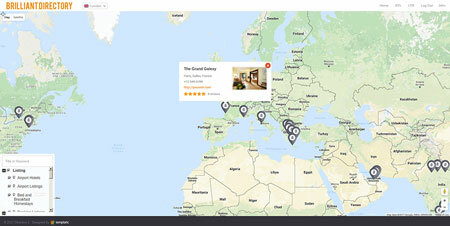 Thanks to the Directory Theme, you can build your own online directory. The theme has a modular content layout, allowing you to customize it easily. There are plenty of restaurants, cafes, and other food businesses in our cities. Finding the best ones used to be much harder in the past. In this day and age, there are plenty of sites and apps with business reviews to help you choose the best places to eat out. Not satisfied with what’s available? You can always build your own restaurant directory. 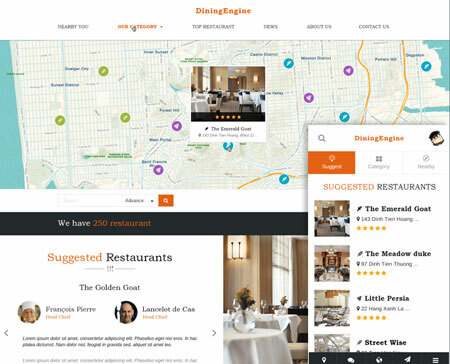 DiningEngine is just the theme for such a project. Job directory sites have been around for a long time. Many of us have relied on them to find candidates for open positions or apply for a job. If you are not satisfied with the job sites available, you could always create your own. The Jobs Directory Theme can help. 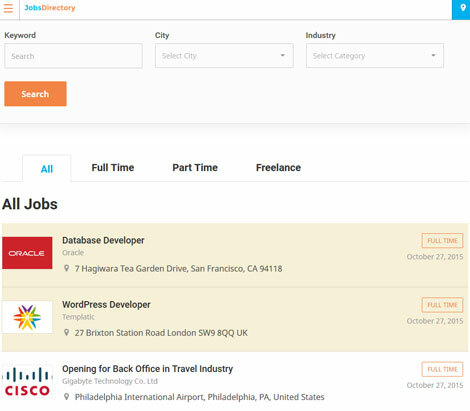 It is a premium theme that turns your site into a job listing directory. October 17th in WordPress Themes by Wordpress Jedi . Online directories used to be very popular a few years ago. Things have changed a lot in this space, but niche directories are still somewhat popular. There are already various sites and apps you can rely on to find interesting events in your area. Want to build your own directory? EventBuilder can help. It is a premium theme designed for event directories. It lets your visitors add events and sell tickets. 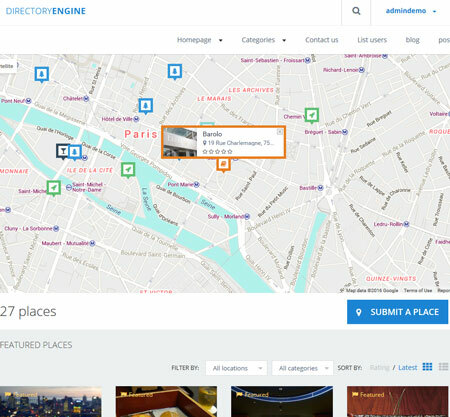 WP Solver » Search Results for... "Directory theme"